The idea behind this brand new online platform is SEW cool that I PORT you guys might wanna learn more about it. Hahaha sorry queens, I know I'm not that punny. 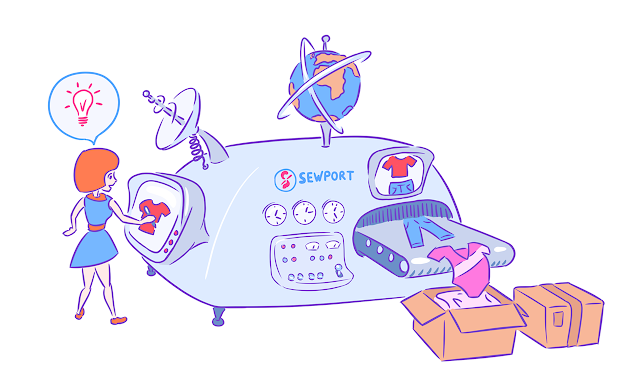 Moving swiftly on... Sewport genuinely is an exciting online platform I wanted to share with you lot today - it's another fantastic example of how the world of production, fashion and technology is constantly evolving & adapting... totally changing the game for clothing manufacturers. 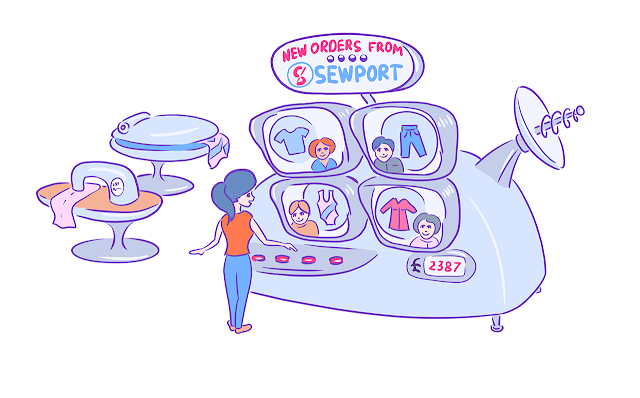 In short, Sewport is a fab new online resource that allows people or companies [such as start-up businesses or up-and-coming fashion designers] who perhaps don't have much experience [or many connections] in the fashion industry to effortlessly bring their dream design to life. 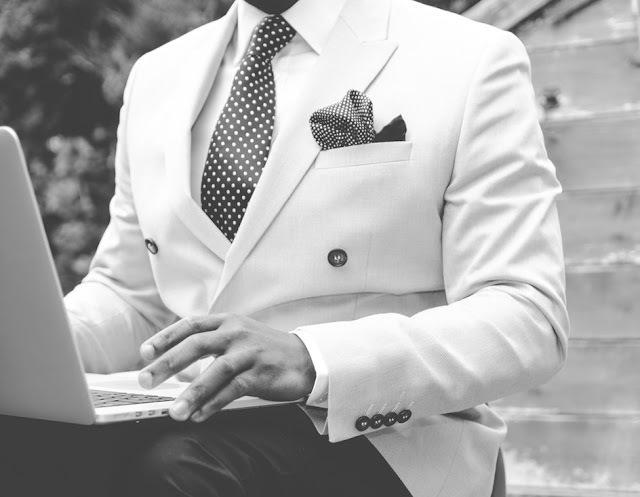 The website brings together everything you'll need to make your fashion dreams a reality - taking those ideas & manufacturing them into a physical garment[s]. 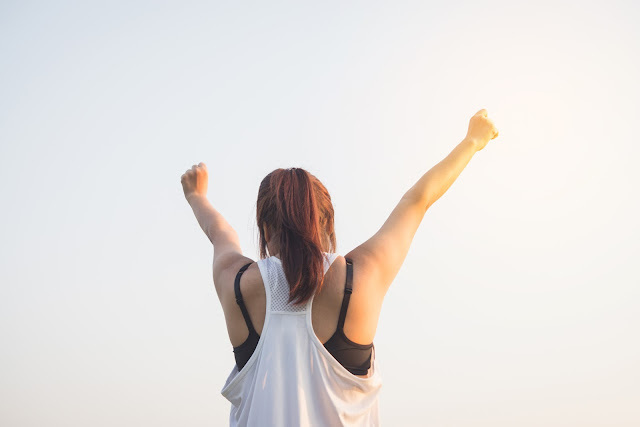 Everything is guided, relevant and simple - Sewport makes it easy for brands [no matter what size] to find clothing manufacturers - and choose the right one to work on their project with them. Which means that for those of us who have fashion dreams but no idea how to make them a reality [or even, make the clothing items in the first place!] things have just got a whooooooole lot simpler. Although I haven't personally tried to launch my own fashion brand [much as I'd love to!] I can only imagine how difficult it must be for people looking to get their foot in the fashion ladder; especially if you're fresh out of University, an emerging clothing brand or a company taking a bold step in a different direction... who haven't got industry connections or tried & tested manufacturers to help them achieve their goal. That's why Sewport is such an innovative idea - it takes all the stress out of manual searches, phone calls, pricing up etc and simply shows you your options in one comprehensive, easy to use website. Saving you time, frustration and money. I love this diagram - it's perfectly representative of the Sewport process & depicts just how simple it is for brands & emerging designers using this online platform to make their ideas a reality; harnessing the power of the internet. There's no endless searching, no stressing over how you're going to physically make your product [I wouldn't even know where to begin in creating the dream dresses and floaty tops I conjure up in my mind] or what to make it from... simply sign up, pop your ideas in and choose ya manufacturer; who you can work alongside every step of the way. And boom - that babein' line of bodycons you've been doodling in ya diary since you were about 12 is a reality. - Implement easy to use communication and project management tools. And I think that's bloody brilliant. 100% worth shouting about - hell, it's even inspired me to start sketching designs up again. And that's nothing short of a miracle, I'm too lazy to bring myself to do anything these days! Sewport removes all the bottlenecks from what would otherwise be an unthinkably complicated process to me - an outsider in the fashion industry, and makes it all seem so simple. 10/10 guys! What do you think about the concept of Sewport? Are you a brand or potential fashion queen looking for help / similar services who might consider using them now? Don't forget to check out their website if so and you can, if you're interested of course, follow Sewport on Twitter and Facebook for updates & more information too. **All images used in this post are owned & provided by Sewport.